FREE WILLIE FRAZER!!!!!!!!! | AMERICAPHILE RESURGENT!!! ← JAMIE BRYSON SETS THE RECORD STRAIGHT!!!!!!!! 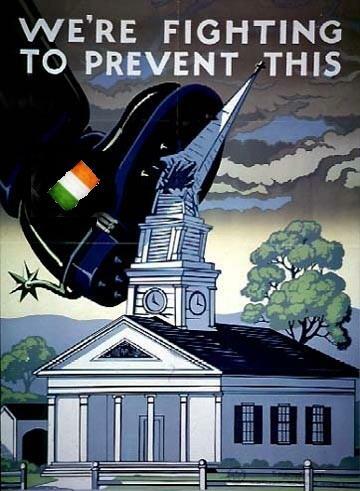 SINN FEIN/IRA/PSNI ARE CRANKING UP THEIR POGRAM AGAINST THE LONGSUFFERING PEOPLE OF BRITISH ULSTÈR!!!!! Willie Frazer was arrested on Monday morning while the home of fellow Ulster People’s Forum member Jamie Bryson was searched by police, it has been reported. In a post on Mr Bryson’s Facebook page on Wednesday morning it was claimed his home was being “ransacked”. It was also claimed Mr Frazer is “on his way to Musgrave”. Police this morning confirmed a 52-year-old male was arrested in the Tandragee Road area of Markethill “on suspicion of public order offences relating to the [PEACEFUL] flag protests”. Both men have been key figures in the [PEACEFUL] flag protests which have taken place in Northern Ireland for the past three months. THIS IS RIDUCUOUS BECAUSE NEITHER WILLIE NOR JAMIE ORGANIZED THE PROTESTS, WHICH BELONG TO THE LONGSUFFERING PEOPLE OF BRITISH ULSTÈR!!!!!! NOW THAT THIS HUMANITARIAN CRISIS HAS DEEPENED, AMNESTY INTERNATIONAL CAN NO LONGER REMAIN SILENT!!!!!! THE INTERNATIONAL RED CROSS MUST VISIT WILLIE IN PRISON TO ASCERTAIN THAT HE IS NOT BEING TORTURED AND BRUTALIZED BY HAVING THE LEPRECHAUN LANGUAGE SPEWED AT HIM AND TO ASSURE THAT HE WILL NOT END UP AS A LASAGNE!!!!! ALL OF US IN AMERICA WHO LOVE FREEDOM NEED TO CALL THE BRITISH EMBASSY AND NEAREST CONSULATE AND DEMAND THE RELEASE OF WILLIE AND OF ALL PEACEFUL PROTESTORS!!!! 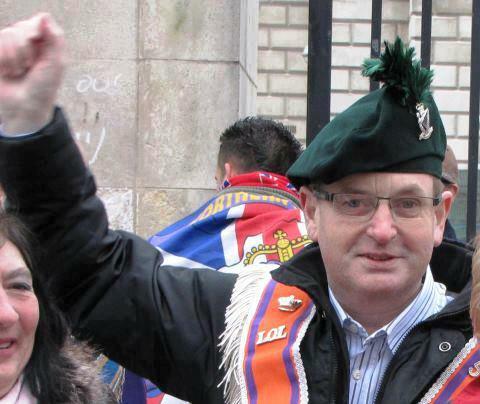 Posted in Uncategorized and tagged AMNESTY INTERNATIONAL NI, WILLIE FRAZER. Bookmark the permalink. Pingback: A YOUTUBE MESSAGE FROM BEHIND THE GREEN CURTAIN!!!!! | AMERICAPHILE RESURGENT!!! Pingback: DAVID CAMERON, RESCUE THE HEROES!!!!!!!! | AMERICAPHILE RESURGENT!! !